Apache Hall is perfect for any type of event such as wedding receptions, company parties, graduation parties, anniversaries, dinners, dances, seminars and much more. Apache Hall features a raised stage perfect for Live Music or a DJ for dances or special gatherings. 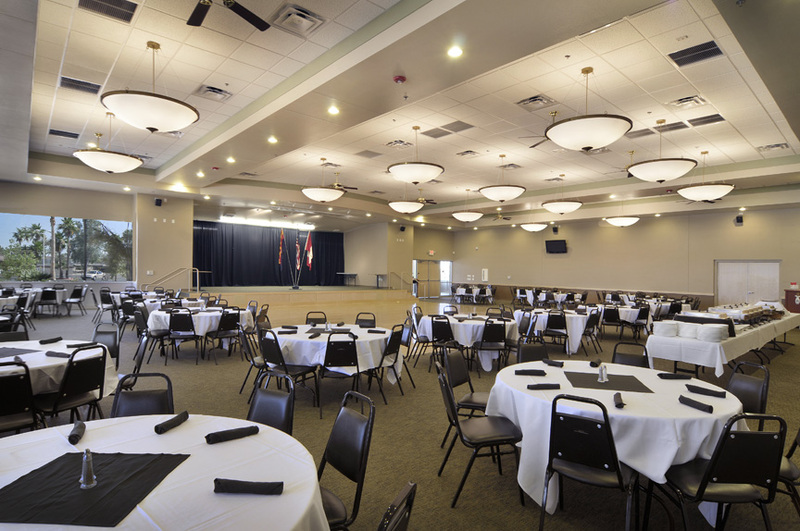 Apache Hall can accommodate up to 250 guests; whether banquet or auditorium-style. The Hall also has a large dance floor, and an outdoor patio that will seat an additional 90 guests. Apache Wells Country Club has ample parking spaces for all types of events. We have available along with the Apache Hall rental, in-house catering; portable bars; and a separate room that can be used for serving food buffet style. A public address and audio-visual equipment is available upon request.